Miguel de Cervantes Saavedra was a Spanish novelist, poet, and playwright. 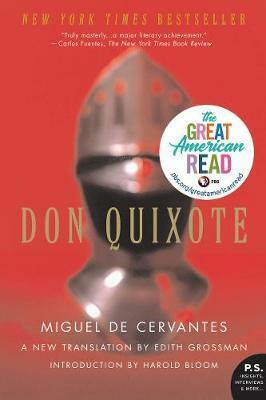 His novel Don Quixote is often considered his magnum opus, as well as the first modern novel. It is assumed that Miguel de Cervantes was born in AlcalÃ¡ de Henares. His father was Rodrigo de Cervantes, a surgeon of cordoban descent. Little is known of his mother Leonor de Cortinas, except that she was a native of Arganda del Rey. In 1569, Cervantes moved to Italy, where he served as a valet to Giulio Acquaviva, a wealthy priest who was elevated to cardinal the next year. By then, Cervantes had enlisted as a soldier in a Spanish Navy infantry regiment and continued his military life until 1575, when he was captured by Algerian corsairs. He was then released on ransom from his captors by his parents and the Trinitarians, a Catholic religious order. He subsequently returned to his family in Madrid. In Esquivias (Province of Toledo), on 12 December 1584, he married the much younger Catalina de Salazar y Palacios (Toledo, Esquivias â€“, 31 October 1626), daughter of Fernando de Salazar y Vozmediano and Catalina de Palacios. Her uncle Alonso de Quesada y Salazar is said to have inspired the character of Don Quixote. During the next 20 years Cervantes led a nomadic existence, working as a purchasing agent for the Spanish Armada and as a tax collector. He suffered a bankruptcy and was imprisoned at least twice (1597 and 1602) for irregularities in his accounts. Between 1596 and 1600, he lived primarily in Seville. In 1606, Cervantes settled in Madrid, where he remained for the rest of his life. Cervantes died in Madrid on April 23, 1616. 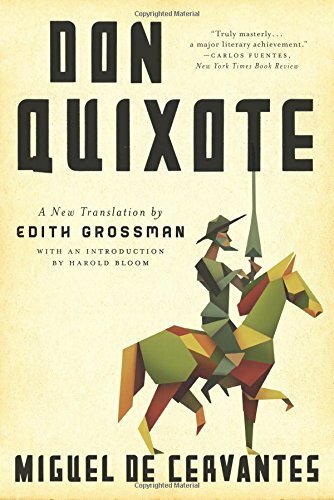 Edith Grossman's definitive English translation of the Spanish masterpiece. 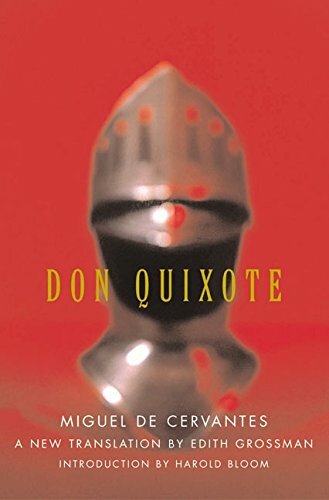 Widely regarded as the world's first modern novel, and one of the funniest and most tragic books ever written, Don Quixote chronicles the famous picaresque adventures of the noble knight-errant Don Quixote of La Mancha and his faithful squire, Sancho Panza, as they travel through sixteenth-century Spain. 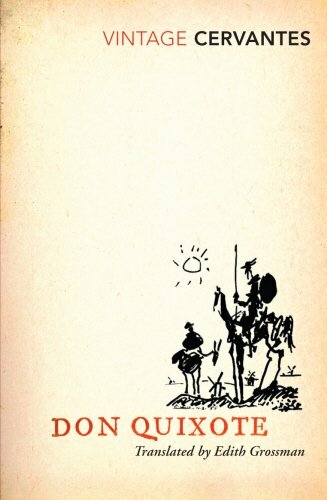 Unless you read Spanish, you've never read Don Quixote.